Thank you for an interesting thread. I haven't visited ATS for ages but this morning something odd happened and I have spent some time today trying to work out what might have caused it. Everyone attending our parish service this morning made unusual mistakes of some sort. The congregation seemed to forget the time, and I sat at the organ waiting for them for 15 to 20 minutes. Of one couple, only the wife turned up because they had put their clocks back an hour last night and the husband couldn't get ready in time. Not only was this the wrong weekend for changing the clocks, but in the spring we put them forwards, not back. The Warden taking the service started us on the wrong psalm, finding that he was reading last week's programme, then forgot the last hymn so we had three instead of four. Two people tried to sing on into a nonexistant extra verse of one hymn, so I went with them and finished it off another way. One of the readers read the passage quite a long way beyond what was actually set for today, and several people missed out random lines of things we were reading out together. I myself was lucky to be there, finding this morning that I had set the alarm clock twice last night, in other words had set it then switched it off again. I could add other things but you get the drift. People do make mistakes of course but I haven't experienced a collection like this before. Maybe worth adding that a couple of people didn't seem well either. Found this paragraph while reading about the SR effects on humans. I didn't think too much about it until I read your comment right now. I just found this gov site about how if the Schumann resonance affects our BP, and the conclusion was that, BP might not be the only thing it affects. Actually, the study found that the blood pressure of most of the people showed no relationship to SR. Check Table 2. 5.4% showed higher diastolic BP on "enhanced" SR days. 19.6% showed lower diastolic BP on "enhanced" SR days. 75% showed no significant difference in diastolic BP on "enhanced" SR days. I don't notice a difference in my BP but others might. Or, perhaps no one was actually affected. 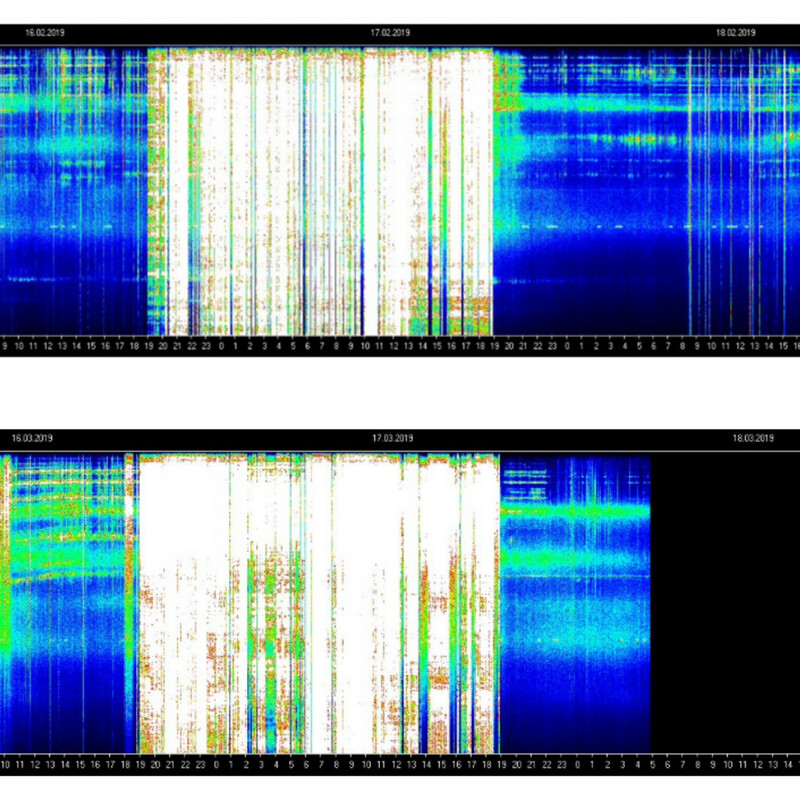 In any case, do you understand that none of the Schumann resonance frequencies went to 100 Hz? MrMBB333 is a known hoaxer, his website is full of crap and he's posting everything interresting even when he knows it's bull#. Check his other vids - nothing but a clickbait. I think it's more a matter of having no idea what he's looking at and making it scary. "Look at all that white stuff! Do you know what that means?" It's a popular way of generating revenue. Dutchy(sense)boy was an early proponent of the technique. Remember those volcanoes in southern California? Yeah, I see what they are doing. Solar Winds Strike/1.34 Million Miles Per Hour - which is pretty normal 600km/s - EarthWatch a few weeks ago. Yea not everything I hear from him, I believe. He can also exaggerate quite a bit at times, but it doesn't mean that all the stuff he shows is a hoax. I don't click on his videos for the "cloud UFO's" or whatever, I go for some of the data he shows and for the stuff his viewers send in (from all around the world) , to be able to compare and analyze with the data I've gathered and catch any patterns, if any. I make sure to weed out the misinformation, don't you worry. Average Amplitude had reached < 100 Hz while fluctuating around that number for a couple hours before coming back to a normal, today. Point is, we've never before in documented history, seen it spike like it did yesterday. First time that this happens. Exactly one month from eachother, for 24 hours. Hopefully this clears some things up and makes you question why this crazy spike happens, like previously stated: exactly 1 month from eachother, for 24 hours.